Self-driving in gridlocked Manila can be brutal. 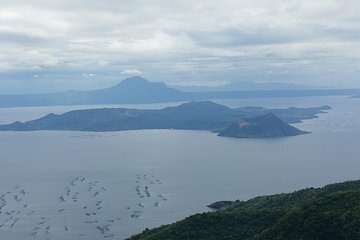 Skip the trauma on this door-to-door tour of Taal Volcano, one of the Philippines' favorite volcanoes, in a group no larger than 10. Ride a jeepney up to People’s Park in the Sky, an unfinished palace, tour the Aguinaldo Shrine, brave a zipline, and see a record-breaking collection of jigsaw puzzles—all without so much as thinking about parking.